How things start and about our creative process. 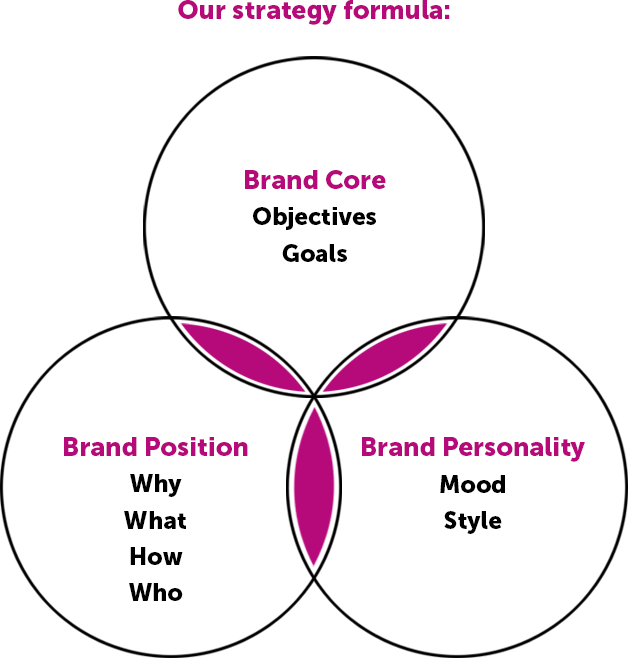 A good brand needs a good plan and the right people to execute. Our creative process is flexible yet constant. It bends and stretches with each client and project needs, yet we have a system and flow to keep us all organized and stay on track. We want you to feel at ease and understand what’s next. We work swiftly yet we’re not robots. So, here’s a sense on how things go. Fill out our get started form or email us to let us know what’s on your mind. We’ll jump on a call or meet in person to review your needs and get to know each other more. After our initial connection, if needed, we’ll request more info, additional talks with others within your organization, and/or product walk-throughs, and/or website backend peeks so we can provide you with a rough quote and timeline estimates. No sense wasting everyone’s time if these two don’t align. Calls went well. Budget on par. Timeframes obtainable. Great. We’ll draft up our Agreement and timeline contract. This is where the specifics get more specific. Our agreement is thorough and legal jargon is simplified and explained where needed. Let’s get going. This phase is like a road trip. It’s our chance to listen more closely and understand your business and brand from the inside out. We’ll get crystal-clear on your needs, goals, vision, brand personality, brand position, messaging, and aesthetic. We’ll assess challenges and make sure we have what we need to work for your business. We do more than just make something look great. Branding is about selling the problem you solve. Not the product. It’s also about your unique position–what sets you apart and magnetizes your audience. You can’t be all things to everyone. So we’ll find your sweet spot and how to communicate your value visually and verbally in an interesting way. We’ll simplify the complex, prioritize what’s necessary, and eliminate things that confuse your audience. If you’re doing a website with us, we’ll also talk website and social media strategy and ideas. We’ll create wireframes to understand the website flow and functions. We design with purpose to better communicate your value and benefit to the masses. We’ll spend quality time creating and bringing your brand to life. From initial concept to final approval, we’ll use our experience, creativity, intuition and everything we’ve learned about your business and goals, to craft a brand you and your audience loves. Once concepts are approved, we move into prep, production and development stage. Print files are finalized and sent to the printer. Photo or videoshoots are scheduled and completed. Website files are handed off to our development team or yours. This is the really fun part! Your brand is ready to be showcased to the masses. Collateral items are printed and delivered. Websites go through extensive bug testing and final edits stage. Once everything is completed and approved, we’ll move your site to your main server and celebrate with a virtual dance party. Warning: our dance moves might cause laughter. We’ll continue to monitor and support your site up to a few weeks after launch. Once in awhile it takes our clients or visitors to unlock something missing or that went wrong. Hopefully this gives you more insight and understanding into our process and how we work. We welcome questions and happy to explain further.